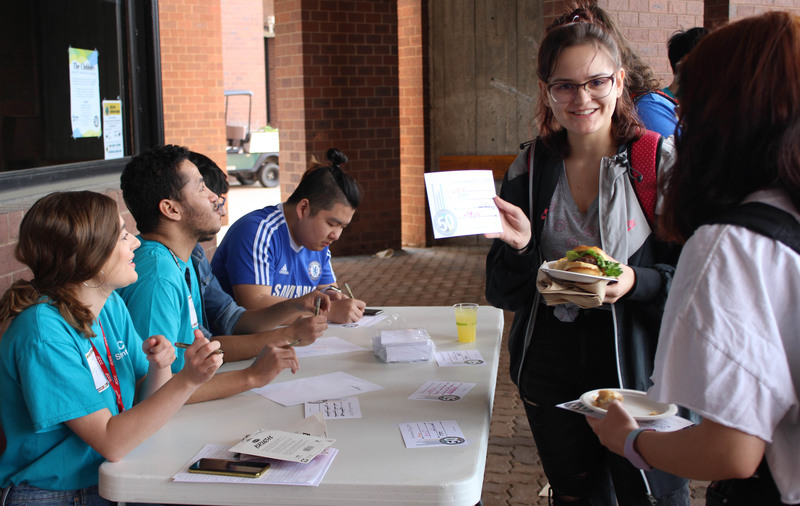 The International Club was out in the COM courtyard serving food and bring awareness to international Day, on Wednesday. “This is to help to realize the diversity that the college has… This day allows us to express ourselves…” – Matthew Ghilino. Photo by: Jennifer Tharp, The Campus Ledger. Where Are You From?” People were encouraged to place a pin from where they were born. 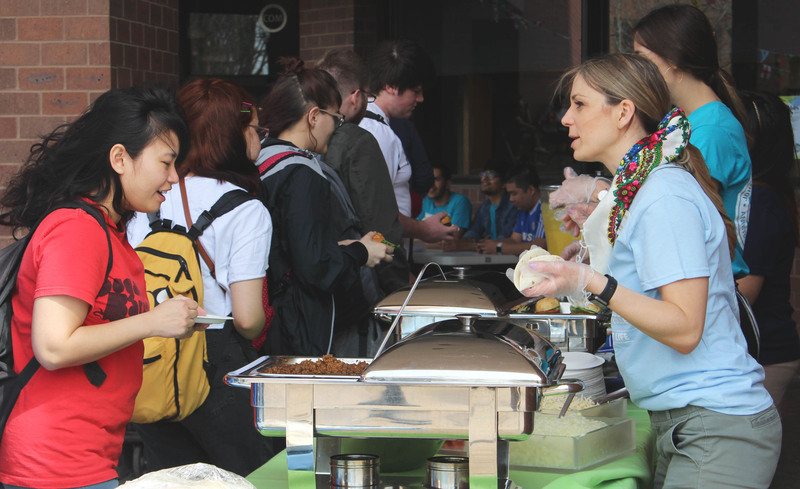 Showing how diverse that JCCC really is. Photo by: Jennifer Tharp, The Campus Ledger. 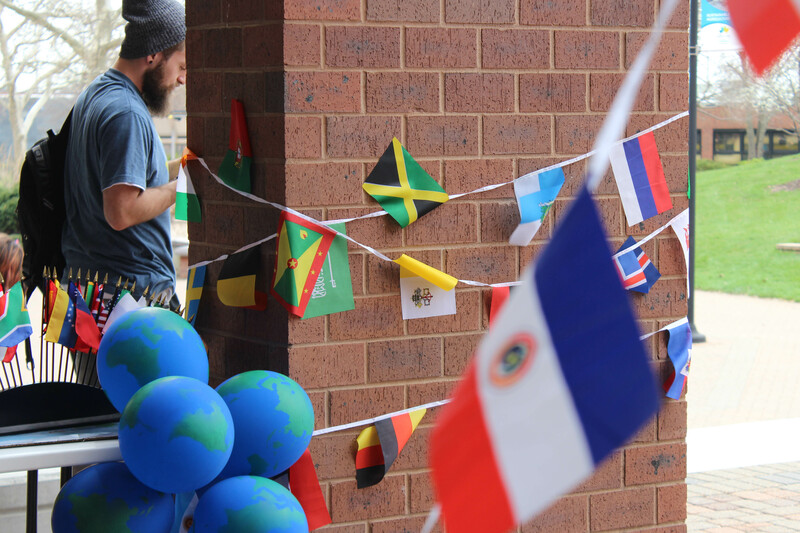 Flags from countries all around the world were wrapped around columns and hung up in the courtyard area for International Day. Photo by: Jennifer Tharp, The Campus Ledger. There was a table at the end of the food line where people could attempt to write their names in different languages. Photo by: Jennifer Tharp, The Campus Ledger. 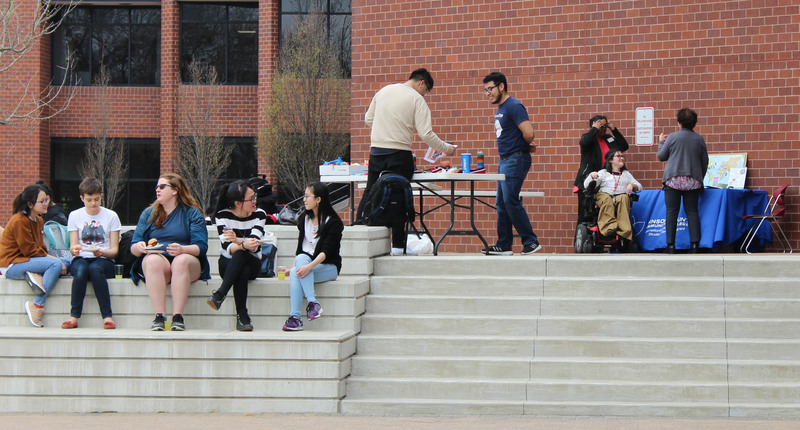 People are enjoying the weather with their fellow classmates and eating the free food. Photo by: Jennifer Tharp, The Campus Ledger. 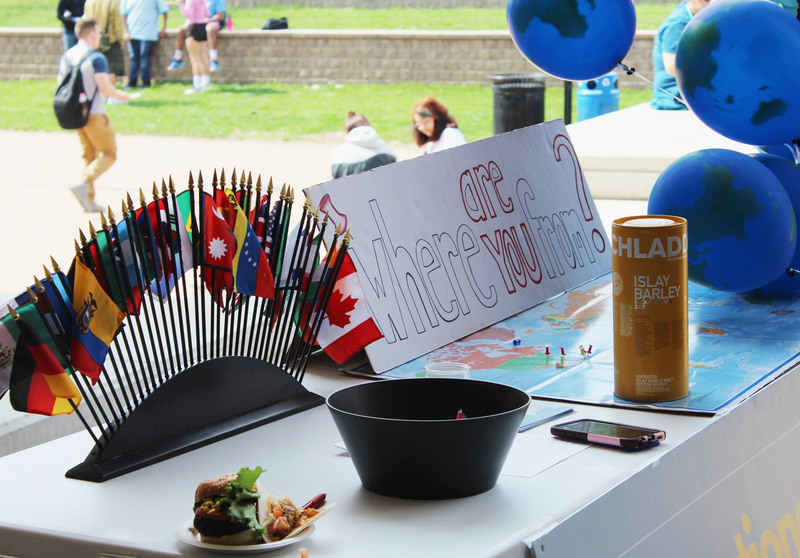 Students enjoying each other’s company and looking at the various tables that were set up for International Day. Photo by: Jennifer Tharp, The Campus Ledger. 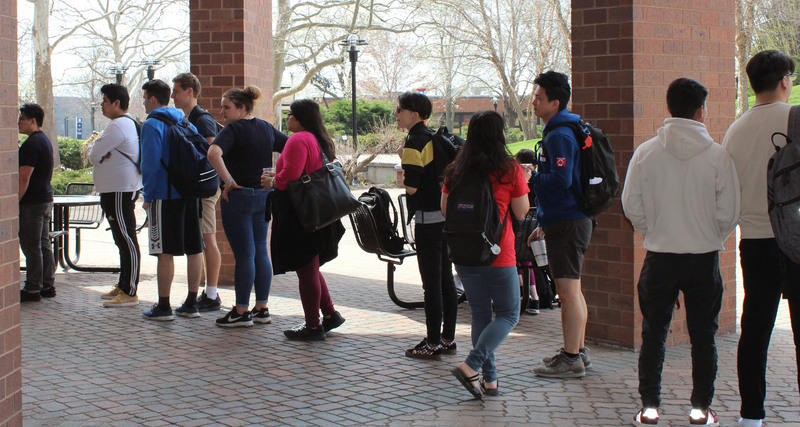 People were in line to get some free food while enjoying the nice weather with their friends. Photo by: Jennifer Tharp, The Campus Ledger.